FPT500 fog generator is most versatile suitable for air Flow Visualization by photographic or video recording of Air flow patterns in Pharmaceuticals Cleanrooms, Hospitals and other controlled environments. As per ISO 14644-3, USP 797, WHO TRS 961 updated new GMP standards, complete study or assessment of Air Flow Direction is required for cleanroom acceptance criteria. 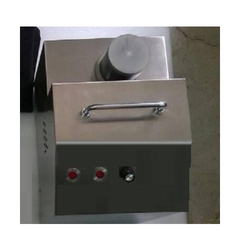 This Tool is non-contaminating fog generator that can be produce very high purity fog for airflow visualization test in cleanrooms high concentration of water aerosols (Atomized particle size 1-10µm on 80%) and which will leave no residue contaminants when droplet of water evaporates in side cleanroom. 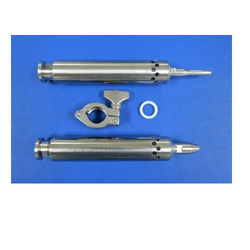 This product is widely accepted to Pharmaceutical, Healthcare and Semiconductor industries. 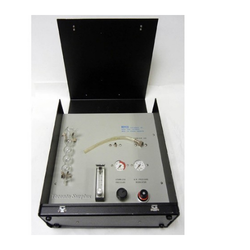 Model AGA1 (Pneumatic) - The AG-A1 Laskin Nozzle Aerosol generator is designed especially for testing of biological safety cabinets and filter systems from 540 to 5400 cfm. Stable at Low Concentrations of filter systems from 540 to 5400 cfm. Looking for Controlled Environment ?